I assume Mirus The Elysian Fields1 is named after Elysium, not The Elysian Fields in Hoboken, New Jersey. But whether you're a fan of happy (dead) Greek (im)mortals or baseball legend, this perfume offers some afterlife/outdoorsy sweetness. Like many flowers (tuberose, peony, freesia, carnation, ylang-ylang), I prefer lavender in my garden, not on my person. But there are always exceptions, right? I was immediately pleased by The Elysian Fields, and it contains a good dose of lavender. Mirus categorizes The Elysian Fields as a fougère perfume. It goes on smelling crisp and refined, a blend of lavender and bergamot. The other floral element wavers between what could be described as "green" lilac and geranium leaf (a pleasing combo). The perfume wears down to a lovely arrangement of aromatic (not culinary) tonka bean with residual lavender. The Elyian Fields is a kissing cousin to Caron Pour Un Homme. Where these two differ is in the overall character: The Elysian Fields is cool/crisp, while Pour Un Homme is more warm/fuzzy (and Pour Un Homme's base is amber-y with a lavender edge). The Elysian Fields also brought to mind a long-discontinued favorite perfume of mine: Patou Pour Homme Privé (a great sophisticated lavender fragrance for men). If you like lavender perfumes, give The Elysian Fields a try. It has good lasting power and sillage, and is unisex. And since we're talking death and what comes after (see paragraph one), have a great Day of the Dead tomorrow! And remember, Nov. 3 is Fougère Friday here at Now Smell This. 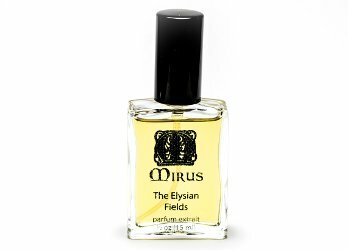 Mirus The Elysian Fields is $65 for 15 ml Parfum Extrait. It can be found now at Tigerlily. 1. Listed notes of floral lavender, bergamot, cardamom, lilac, sandalwood, tonka bean, oakmoss, geranium, sandalwood and white musk. 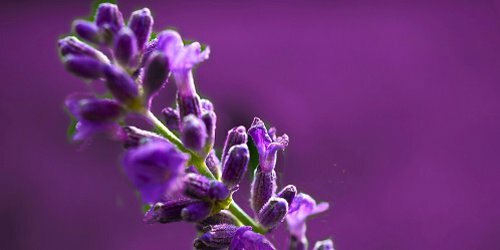 Note: top image is Lavendel - Lavandula angustifolia [cropped] by mamajuana1968 at flickr; some rights reserved. As a lover of lavender I like the sound of this one and the price fits into my budget. Great review! chocomarzi: thanks! give it a shot…. Hah! Once upon a time, I lived a block or two from The Elysian Fields of Hoboken. It’s a nice little park, but it never gave me any glimpses into the afterlife…and it wasn’t particularly fragrant! J, OK…to Greece we go! Kevin, the first sentence of your article brought something to mind – many years ago (early 90s?) Clarins did a fragrance called Elysium. I remember on a visit to friends near Houston picking up a sample n Macy’s, Dillard’s or such like, then coming back to the UK (when Aberdeen still had a couple of decent department stores with good perfume counters!) to be told they’d never heard of it & it must be for the US market only (in other words they didn’t believe me!) so I must admit to a slight smugness when I took the beautiful little replica bottle (fewer standard phials as samples in those days!) into the relevant Clarins counters to show the ladies! It was a gorgeous fragrance. Carolyn: ah…looked it up. There are bottles for sale still it seems (if you are the type to buy vintage bottles). I don’t think I ever smelled that one but the writing on the box looks VERY familiar. It seems very few companies make the teensy bottles any more. Kevin, I’ve never bought vintage sight unseen or unsmelled – moreover, although I’d love to smell Elysium again, I dare say it’s one I’ve grown out of given the 25 years that have elapsed! I agree with you re the sample replica bottles – around the same time as the Elysium thing I discovered Liz Claiborne in the US & my friend made a big thing of saying to the lady at the counter “Oh my friend is from the UK & LC hasn’t crossed the pond yet” etc etc & I ended up with a plethora of complimentary mini LC bottles for my husband and me.